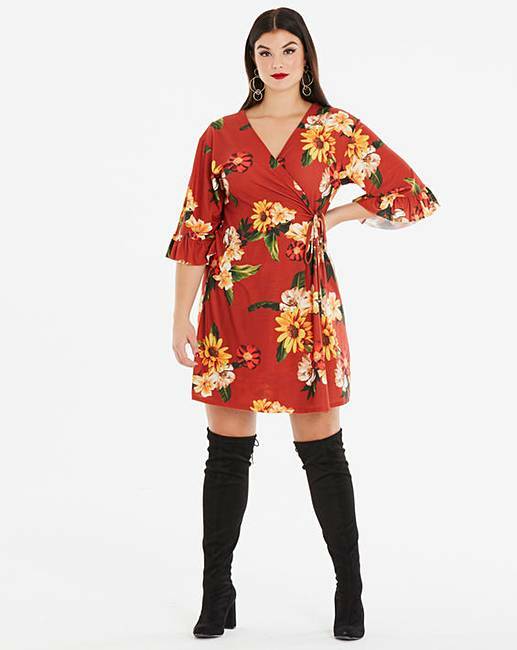 Pink Clove Floral Wrap Dress is rated 4.2 out of 5 by 5. 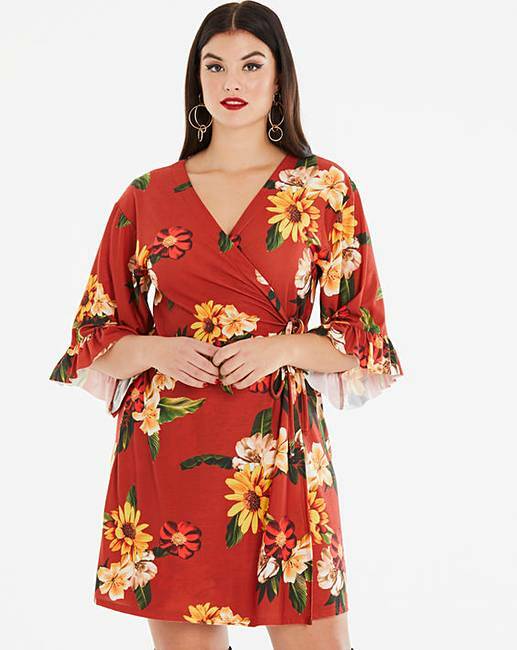 Feel great in this gorgeous autumnal printed wrap dress by Pink Clove. 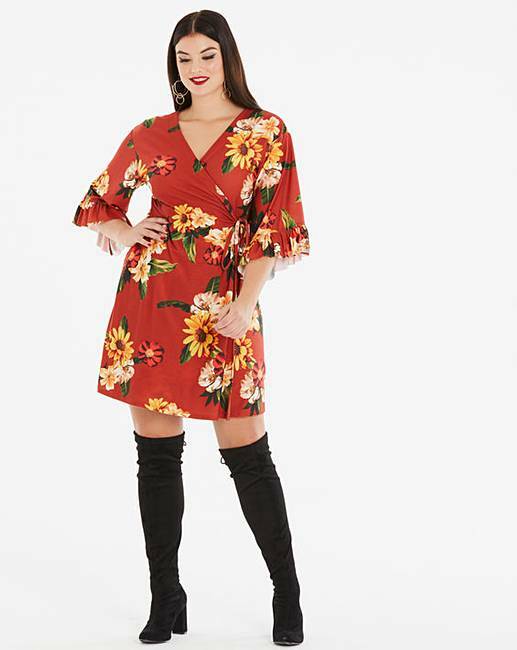 Complete with a v neck and wrap waist, this is ideal to be worn on those chilly mornings with tights and boots. Rated 5 out of 5 by missy64 from Gorgeous Lovely top and great fit. 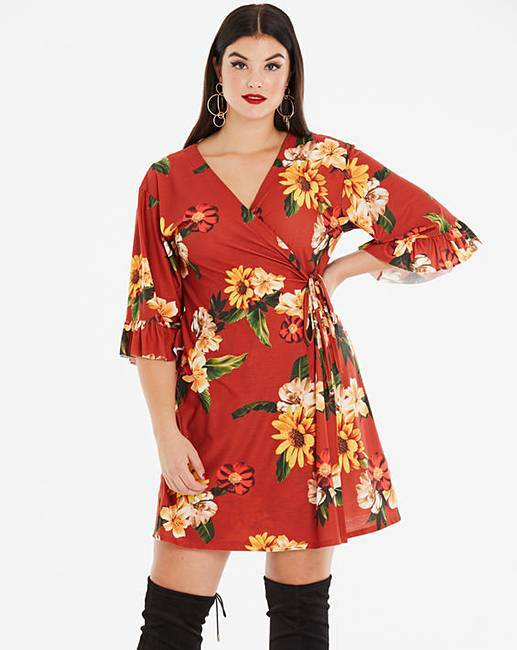 Short for a dress i am 5ft 10in bit would team it with leggings. 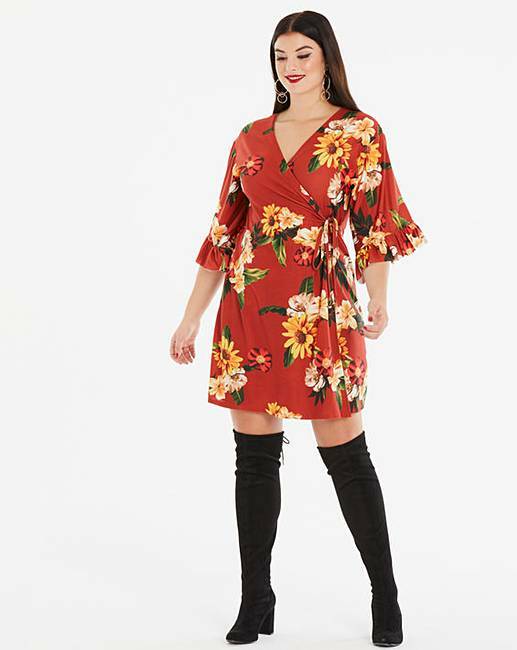 Rated 5 out of 5 by Squinchy from So flattering My new favourite dress. It skims and hugs in all the right places. Shows off my cleavage too. Felt so good wearing it at my staff do. Rated 5 out of 5 by Nise from Great dress! I am happy with my purchase as it arrived safely and efficiently. Great addition to my wardrobe. Rated 1 out of 5 by InkySky from Clingy & Unflattering Far too tight around the middle, and as the inside is sewn up there's no way to wrap it more loosely. Mine came in a ripped bag, and appears to be missing the second tie to wrap & tie the second half? Jersey material makes it very clingy. Rated 5 out of 5 by Kate from Lovely style Lovely style and colour dress, inside slip is stitched so no flashing!